I am so excited about the zucchini harvest this year! I have been quite busy finding ways to store this perfect veggie for winter. I’m also enjoying them fresh with nearly everything I eat. Did you know that zucchini is a good source of Protein, Vitamin A, Thiamin, Niacin, Phosphorus and Copper, and a very good source of Dietary Fiber, Vitamin C, Vitamin K, Riboflavin, Vitamin B6, Folate, Magnesium, Potassium and Manganese? And it only contains 20 calories per 1 cup serving! Lots of people are giving them away this year because they did so remarkably well. I was greedy with mine, as I love them so much and can think of so much to do with them! I followed the recipe as written except I used slightly less sugar and substituted brown sugar for some of the white. Also, don’t drain the shredded zucchini because you will lose the moisture. I also made a healthier version using apple sauce in place of most of the oil and whole wheat and rice flour. I used agave syrup and honey in place of the sugar. It came out just as good, although much denser of a loaf. I’m looking forward to making a savory zucchini bread next time using garlic, onion, and rosemary. 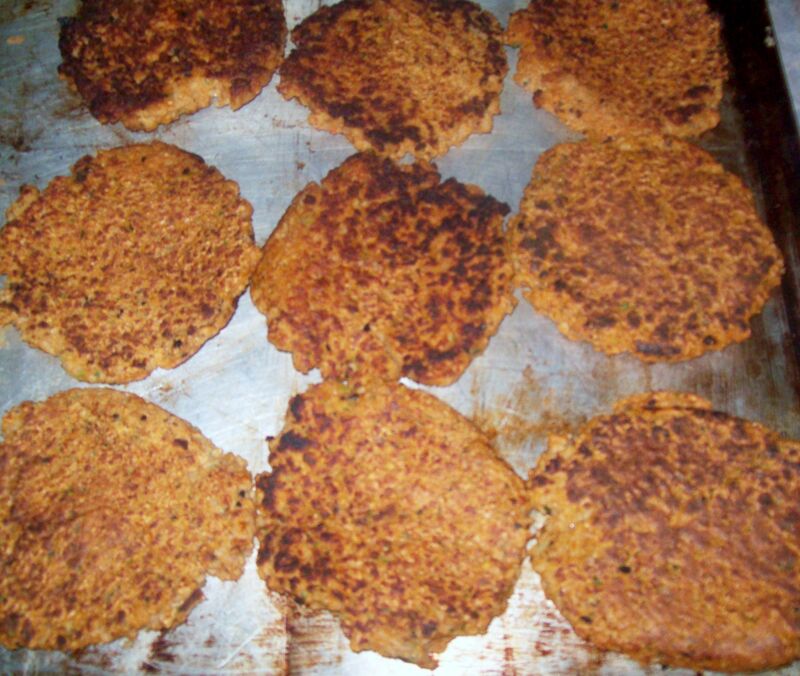 The veggie burgers are the best that I have ever made. My husband told me not to share the recipe because he wanted to take a 2nd mortgage on our house to patent the recipe and sell these things! That’s quite a compliment coming from a die-hard meat eater! Despite his enthusiasm, I can’t keep this recipe to myself! Throw everything in the food processor and process until you have a slightly wet burger-dough. Pre-heat non-stick or cast iron skillet with a small amount of olive oil. Drop by heaping tablespoons onto hot pan and spread the burger out a bit with the back of the spoon. Cook about 2 minutes and flip. If the burger is too wet it will fall apart. Just add a bit more oatmeal and re-blend. I can’t even begin to express how perfect and delicious these turned out! This will yield about nine bun-sized burgers. Tonight I will be making and freezing large batches of zucchini rounds for frying. They are a perfect substitute for French fries. Just cut into strips or rounds, dip in egg whites and coat in corn-meal, flour, and seasonings. Freeze flat on a greased baking sheet or parchment until solid. Then just bag them up and fry as needed. These will be perfect with all of the marinara sauce that I canned! I never imagined I could get so excited over a vegetable. My life must be fairly mundane because I am the only one I know that thinks “Isn’t life grand?” when picking and cooking this baseball-bat sized vegetable! 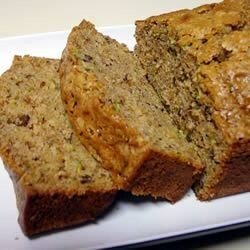 Posted by Createityourself on August 24, 2012 in Cooking and Baking, Plants and Gardening and tagged cooking, courgettes, garden, harvest, recipe, veggie burgers, zucchini, zucchini bread. Those zucchini burgers sound awesome. I wish the Texas heat didn’t kill our garden. Fall will be awesome though. A coworker told me today, “This time of year you can tell who doesn’t have any friends. They are the ones buying zucchini at the grocery store. 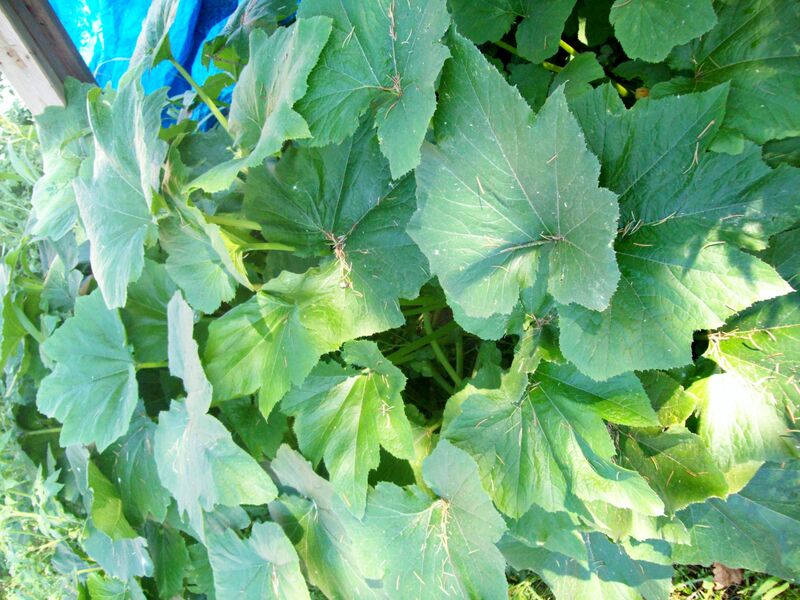 Everyone else gets more than they could want from their friends with a garden.” I love zucchini! So much to make and do with it! sounds yummy,those recipes sound awesome. thanks for the tips! Oh Alicia is soooo right. I love your ideas, especially the burgers. I think I could do them. I also have mixed shredded zucchini with hash browns. Another fast trick is to put them in place of apples and make apple pie. This has to be eaten warm with ice cream and all in one sitting. Great for a pot-luck event. I also have a zucchini cobbler recipe, that is actually what I used in the apple pie thing. I will dig it up and post it soon. I’ll have to try the recipes. I kept looking at the zucchini in the garden but had no idea what else to do with them aside from stir fry and making soup. Thanks for the tips. Love my zucchini! Just put 6-2cup bags of shredded Zuch in the freezer for bread and cake and another Large Ziploc of blanched cubes for adding to meals in the winter! Three large ones still in the fridge and a bunch more in the garden. Yum Yum! Thanks for sharing your recipes. 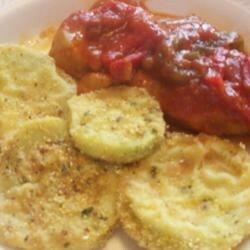 Zucchini is one of my families favorite veggies! I’m going to try making the zucchini burgers, because they sound wonderful. Unfortunately they will have to be zucchini from the store since I don’t know anyone with a garden! 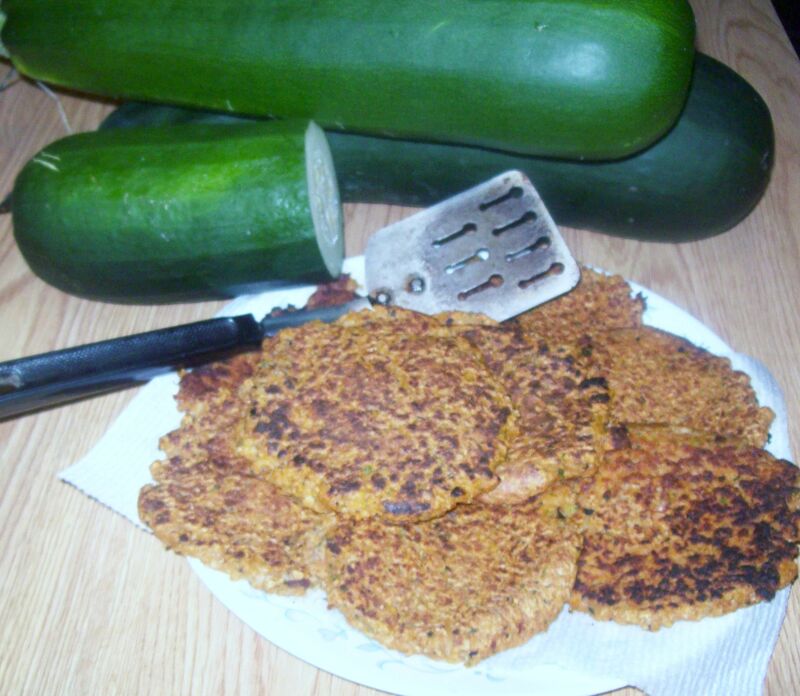 I am trying out these zucchini burgers the next time I have to cook for my vegetarian sister-in-law! I’m sure they will really impress her!! Thank you for this great recipe! Wow, awesome weblog layout! How lengthy have you ever been blogging for? you make running a blog glance easy. The whole glance of your website is excellent, as smartly as the content material!